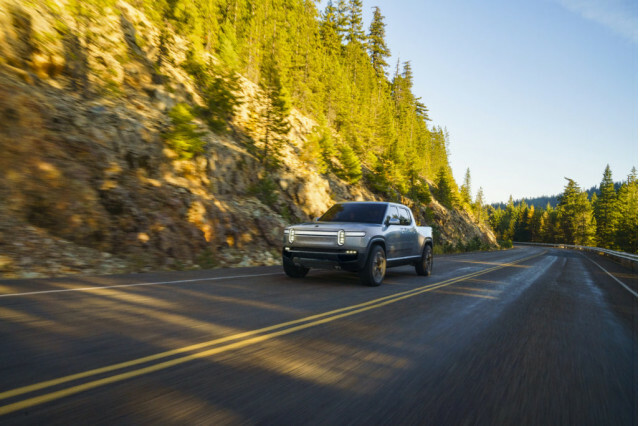 Which company plans on introducing a new electric pickup and SUV? 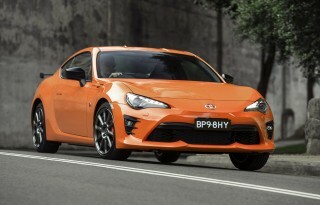 What car caused a ruckus when its manufacturer announced it would be discontinued? This is our look back at the Week In Reverse—right here at Green Car Reports—for the week ending November 30, 2018. 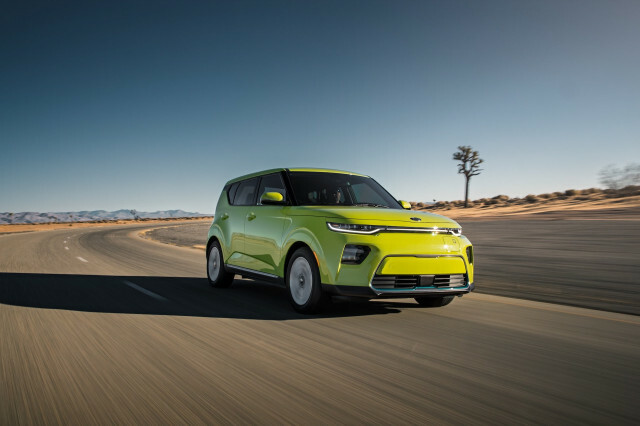 This week was all about the 2018 LA Auto Show, with introductions and insights regarding hybrid, electric, and fuel-efficient cars from three days spent at one of the most consistently green auto shows in the country. 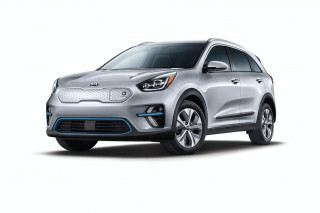 By the end of the week, things on the show floor had wrapped up, so we had a chance to explore some deeper questions, including, how Kia can sell two similarly sized electric crossover vehicles, the 2019 Niro EV and 2020 Soul EV, both with the same long-range battery. In conjunction with the show, Tesla also announced that drivers in its cars have logged 1 billion miles on Autopilot, which should help make Autopilot a better driver. The company also announced that it couldn't guarantee that any new orders placed after Friday will arrive by the end of the year to be eligible for the full federal tax credit. The company, however, has cars in inventory that buyers can purchase in time to receive the full credit. Tesla joined forces with GM, Nissan, and other automakers to begin lobbying to extend that tax credit on Thursday. 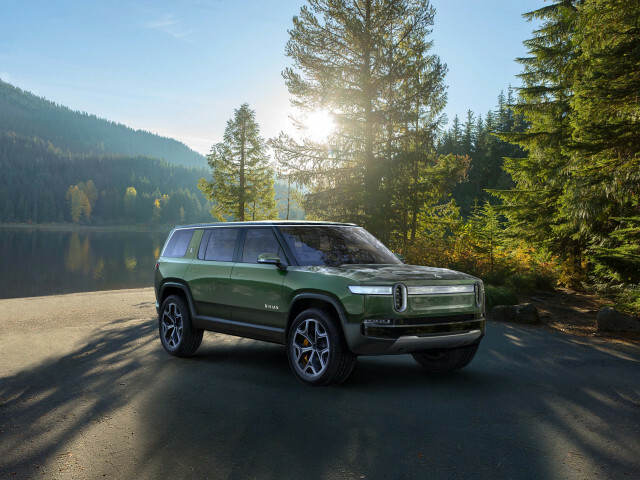 At the LA auto show Michigan-based startup automaker Rivian gave the first look at its new full-size electric pickup and SUV pair, which are due to go on sale starting in late 2020. 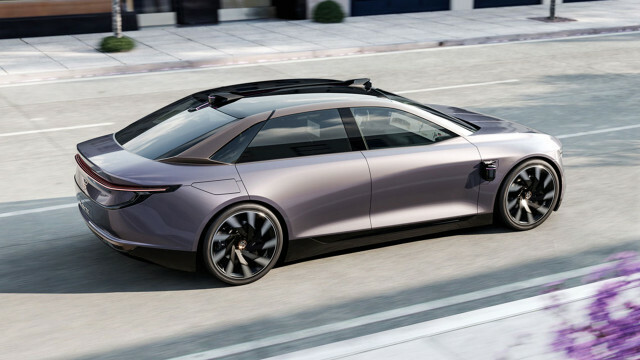 Chinese startup electric carmaker Byton showed its upcoming second model, the self-driving K-Byte luxury sedan, and enumerated progress toward bringing its first model, the M-Byte SUV, to market in 2020. 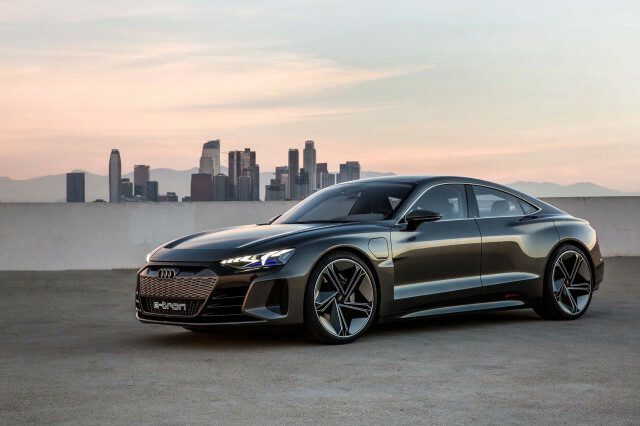 Audi showed the second of its upcoming new e-tron electrics, the e-tron GT, a coupe-like four-door based on the upcoming Porsche Taycan electric sports car, complete with the Taycan's new 800-volt fast-charging system. 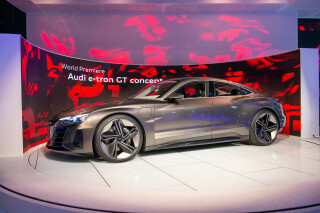 The e-tron GT will be a direct competitor to the Tesla Model S.
Toyota showed off two new hybrids, a hybrid version of its mainstay Corolla sedan, and a new all-wheel drive version of the ubiquitous Prius hybrid. 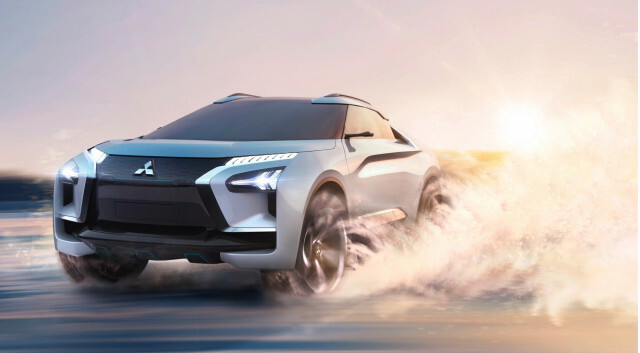 Mitsubishi showed a new concept of its old Evo off-road rally winner, the e-Evolution electric SUV concept, designed to make a rally hero of even the most doddering driver. 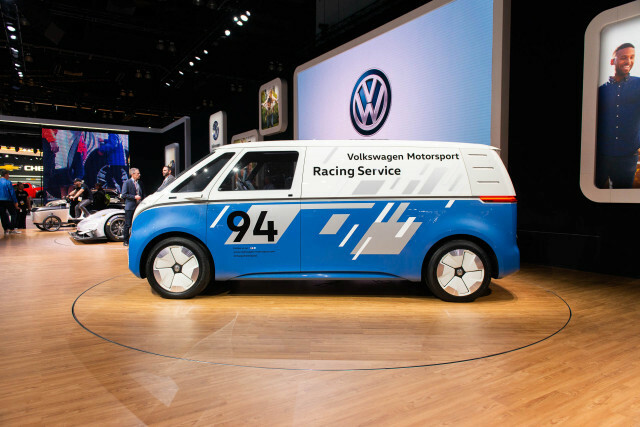 Volkswagen debuted a concept cargo version of its upcoming I.D. Buzz electric microbus, with a self-driving system that should let delivery drivers relax a little and work at a laptop on an integrated desk in front of the driver's seat. And Mazda showed the long awaited redesigned Mazda3, which is expected to come with new engine technology that should deliver diesel like fuel economy with cleaner gas emissions. The company says the system will be paired with its new mild-hybrid system, but it will be delayed some months beyond the introduction of the new 3. 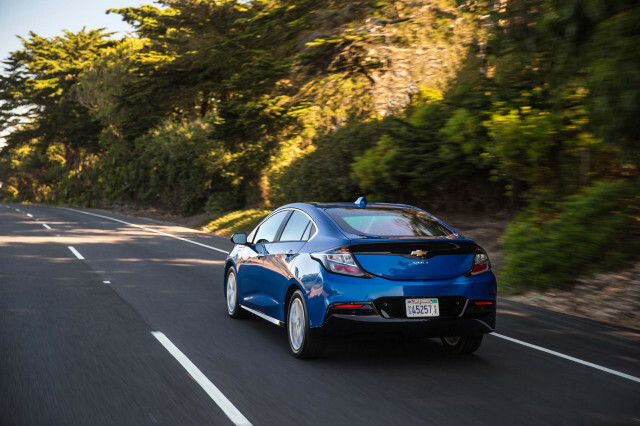 Despite all the new introductions, perhaps the biggest news of the week was the discontinuation of America's bestselling plug-in hybrid, the Chevrolet Volt, which GM announced on Monday. The demise comes amid a 15 percent layoff at the company and the closing of five factories, including the one that builds the Volt. We looked at why the Volt may not have been more successful. And President Trump took to Twitter to vow retaliation for GM's cutbacks, possibly by ending the company's electric-car subsidies.